First Security Agency was established in 1882. Our staff today has over 100 years of combined experience. We have worked with some of the same carriers we represent in our agency today for over 50 years, building strong relationships based on trust and integrity. Our goal has always been to provide our insureds with the best coverage at an affordable price from a great company. Our clients are not just a priority, they are our top priority. 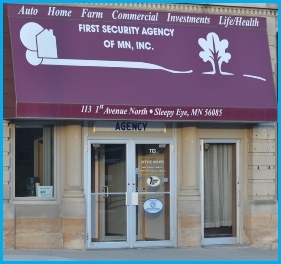 The First Security Agency is an agency that works for you. Give us a call today at 507-794-2156 or contact one of our licensed agents listed below and we'll be happy to answer any of your questions.